Discover a Bold SUV: The 2017 Chevy Tahoe! The awesome 2017 Chevy Tahoe offers a solution for drivers seeking a powerful, full-sized SUV with ample leg room. This magnificent vehicle possess the capability to carry six people across a variety of terrains (including off road tracks) in comfort! It offers the versatility and towing capabilities required to tackle rugged recreational environments in Wisconsin and Northern Illinois. Yet its impressive, sculpted profile make this sport utility vehicle suitable for busy urban driving conditions, also. You’ll catch some admiring glances when you arrive for a business meeting driving one of these magnificent vehicles! Ask Libertyville Chevrolet to add your email address to our list of people interested in receiving information about Chevrolet specials and seasonal offers. The Tahoe offers two basic trim models, the LS and the LT. You may also appreciate the opportunity to get better acquainted with this brand’s available special edition packages, for instance. (An All Season Package includes a trendy black roof rack with cross rails.) With its bold, robust sculpted contours and commanding profile, this outstanding SUV displays a well-balanced, appealing exterior. Select from a variety of glossy paint colors (and available colors), including Champagne Silver Metallic, Siren Red Tintcoat, Woodland Green and Black. 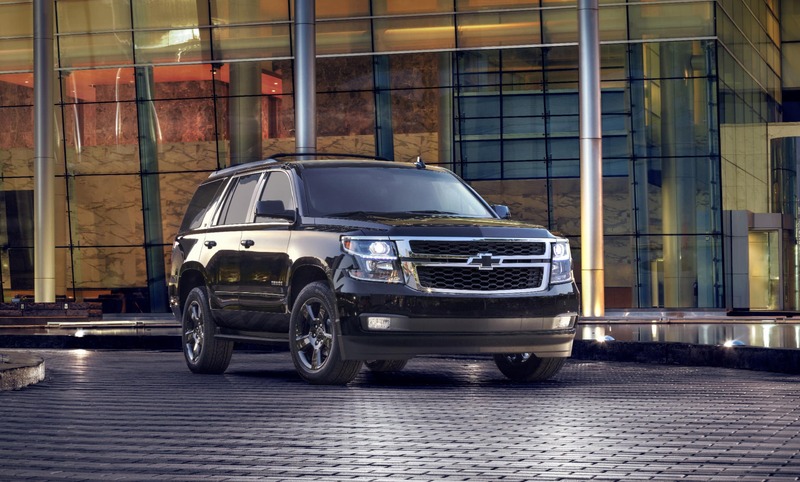 The Chevy Tahoe’s sophistication easily conveys an sense of refined, understated power! Let your dealership serving Grayslake Fox Lake Lake Bluff Waukegan Kenosh and surrounding areas know about your exterior trim preferences for your SUV. We’ll alert you whenever we discover a vehicle containing the features and available upgrades you prefer. Have you yearned for a big, attractive SUV offering the interior luxury many people associate with an executive sedan? Chevrolet designed the new Tahoe with comfort in mind. It supplies a spacious cabin for the driver and passengers. In some respects, the interior resembles the cockpit of a jetliner: as you slip behind the controls, you’ll notice the impressive combination of an intuitively-arrayed instrument display command console coupled with the understated elegance of a plush, opulent decor. Choose from several different available interior trim options to customize this powerful vehicle to fit your personal driving style. 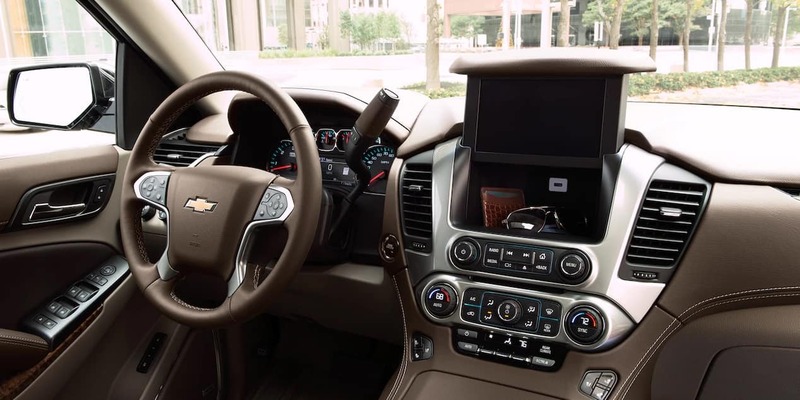 Your local Illinois Chevrolet Tahoe dealer can show you some examples of different available trim packages at our showroom. Offering up to 94.7 cubic feet of cargo space, this exceptional full-sized sport utility vehicle can fit into a variety of settings. You’ll appreciate the ability to include some impressive infotainment and high tech communications capabilities, also. Select an available OnStar package providing 4G LTE Wi-Fi connectivity to remain in touch even when you journey into remote, rugged locations. Of course, 2017 Chevrolet Tahoe serving Grayslake offers a number of really desirable mechanical design elements. When you travel along roads during winter in this vehicle, you’ll notice the impressive capabilities of the 4-wheel anti-lock disc braking system and the rear multilink suspension. 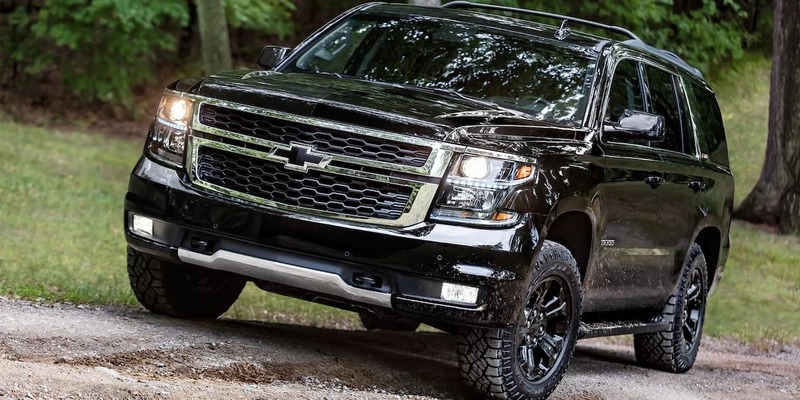 From the Tahoe’s power steering to its precision-engineered 4-wheel drive system, the Chevrolet design team worked hard to craft an exceptional premium vehicle. Customers can select a number of extra available features designed to assist security or towing, too, such as the available push-button keyless start (in the LT) or the available integrated trailer brake controller (available in both the the LT and LS). 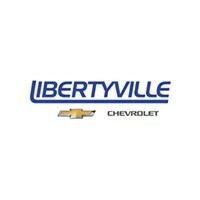 Your Libertyville Chevrolet dealership serving Grayslake Fox Lake Lake Bluff Waukegan Kenosh and surrounding areas will assist you in reviewing available features, if you prefer. Use us as a great resource for researching Chevy brands! As you might expect, the 2017 models offer some really impressive powertrain capabilities. With a 5.3L V-8 engine able to supply up to 355 horsepower, the Tahoe excels as a towing and trailering vehicle. Use it to transport a boat to Lake Michigan, or to pull a horse and trailer to local equestrian events. Whether you need to take ATVs from a city into off-road tracks, convey bulky recreational gear to a campground site, or carry a new jet ski to a lake, this rugged SUV possesses the powertrain components to make the job easier! 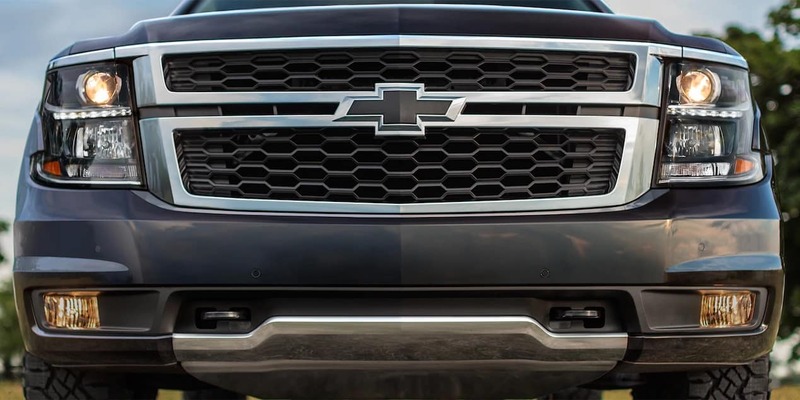 (An available Z71 Midnight Edition selection even includes a special off road package). 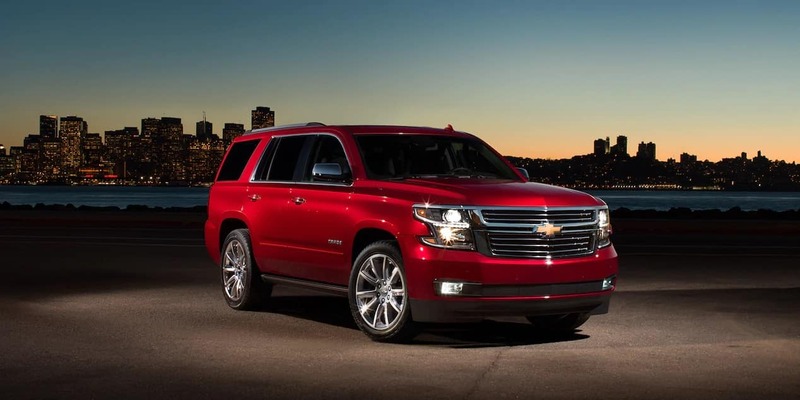 Ask your Illinois Chevrolet Tahoe dealer to help you evaluate your powertrain requirements for specific towing goals. We may assist you in researching available Tahoe features to help customize your vehicle. The manufacturer built a number of important safety features into the new Tahoe. The sturdy steel cage construction seeks to protect the cabin more effectively from impacts, for instance. 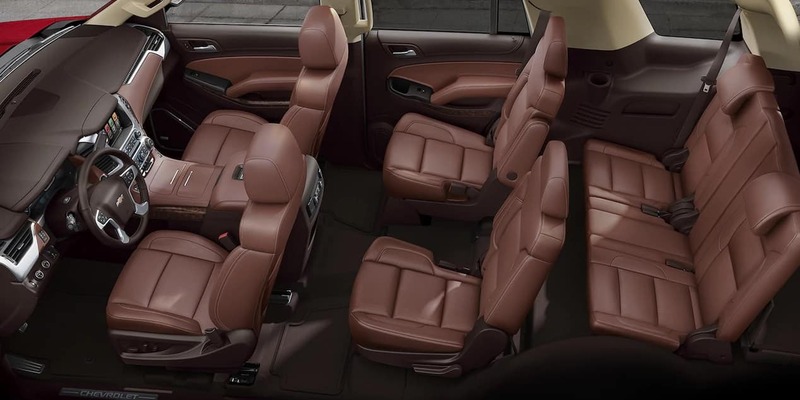 In addition to seat belts, this SUV provides up to seven available air bags. Customers can select an available OnStar response system to summon emergency assistance automatically after a collision or other roadway problem. Your Illinois Chevrolet Tahoe dealer serving Grayslake Fox Lake Lake Bluff Waukegan Kenosh and outlying areas can provide details about several other available high tech safety alert features, including an available “blind side” lane change alert system. Would you enjoy including a Chevy Tahoe in your plans? Don’t miss an opportunity to test drive 2017 Chevrolet Tahoe serving Grayslake! 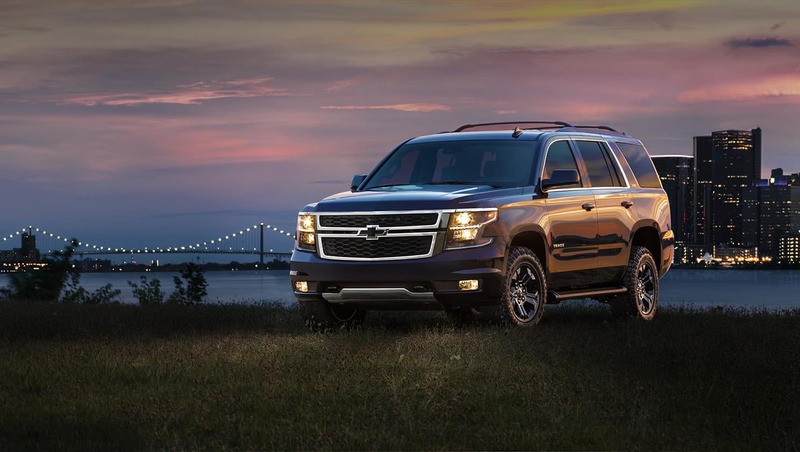 Contact Libertyville Chevrolet now to discuss how purchasing or leasing a new Tahoe could enrich your daily life!